This new Whole Foods ad appeals to the increasingly popular dictum to know where your food comes from. It reads: "Know What Kind Of Life Your Dinner Lived." On the face of it, the movement to better understand the inner-workings of the food system is a noble endeavor. But when the means of achieving that ideal are reduced to a morally illogical slogan, and clouded in a bogus certification label, the larger effort itself is deeply compromised. When it comes to chickens raised outside of factory-like conditions, we often have very little idea about what their lives were like before they (or their eggs) graduated to the dinner plate. Chickens who are raised on pasture might appear to be happy chickens. But experts on chicken behavior repeatedly note that chickens are most at ease in forested environs. It is there where they have access to low-hanging branches that they fly into when threatened by predators. It is there where their ancestors, Asian jungle fowl, lived. Factor in poultry genetics and matters become increasingly ambiguous. Most chickens are bred for commercial purposes. As a result, breeders have favored traits that lead to greater productivity, the most notable of which is larger breast size. 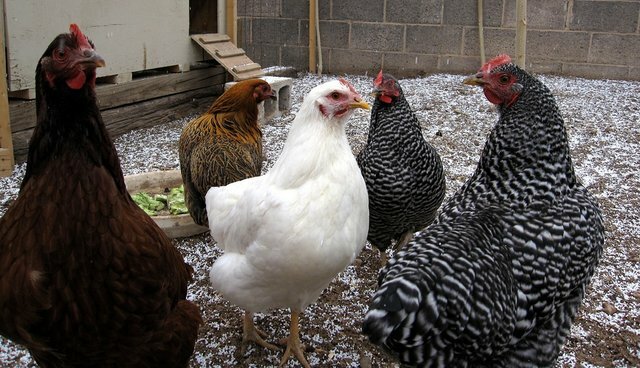 Larger breast size, however, can often spell foot and knee trouble for chickens who were genetically shaped to be enclosed for a few months before being slaughtered. There's every reason, as a result, to think that commercial birds on pasture are walking around in pain. The vast majority of consumers, even Whole Foods consumers, have no clue about the genetic history of the birds they buy. So how can we know how they lived? In a more concrete vein, when it comes to knowing our dinner, what to make about today's release of video footage taken undercover by Direct Action Everywhere on a "Humane Certified" Northern California farm that supplies Whole Foods? In it, birds are crammed into sheds, obviously distressed, suffering respiratory disorders, and stuck in their own feces.